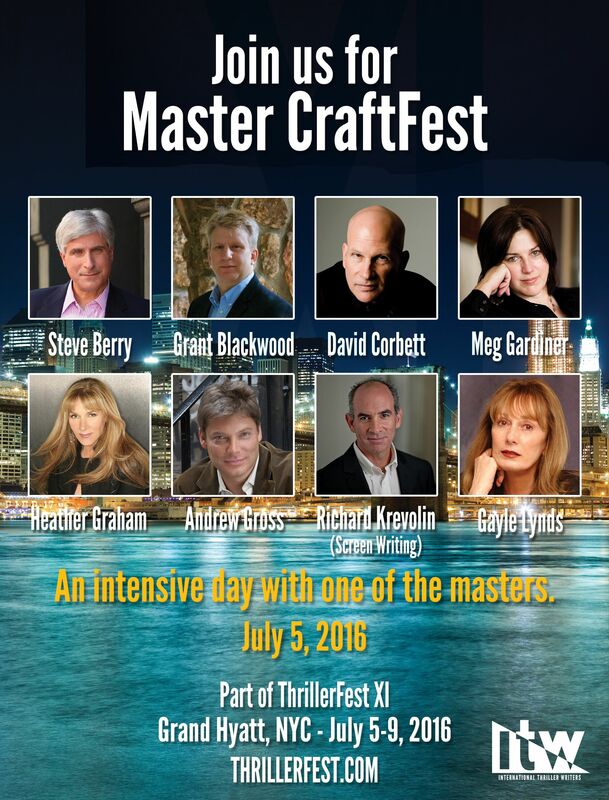 Master CraftFest is ITW’s one-day intensive craft school for thriller writers of all levels and experience. This is our third year and each previous year the classes have filled quickly and a waiting list was necessary. Don’t miss out on this one-of-a-kind learning experience. Register now. Also, this year we have added a screenwriting class to our line up. Renowned screenwriter and teacher Richard Krevolin will head this class but space is limited to 10 students. So if screenwriting is your thing, sign up now to assure your place in this class. We recently interviewed stellar investigative reporter and Agatha-winning author Hank Phillippi Ryan, and she suggested turning the tables on your hosts, Jan Burke and D.P. Lyle, MD. How could we say no? On Saturday 9-26-15 at 10 a.m. Pacific join Multiple (33) Emmy Award-winning and Edgar R. Morrow Award-winning investigative reporter Hank Phillippi Ryan as she turns the tables on Crime and Science Radio’s co-host DP Lyle, MD. Bad air will kill you. One form of bad air is Sewer Gas. It’s a combination of hydrogen sulfide, methane, ammonia, and carbon dioxide. If you enter a sewer or manure pit or some area where these gases are concentrated, you can be a goner is short order. Breathing this combination of gases can kill, and can do so quickly. This is what happened to Iowa hog farmers Gene and Austin Opheim. Austin went into the manure pit to salvage a piece of equipment that had fallen in, but he was quickly overcome by the gas. HIs father, Gene followed, trying to save his son, but he too fell victim to this treacherous gas. Hydrogen sulfide is a byproduct of fermentation and is often found in sewers and cesspools. 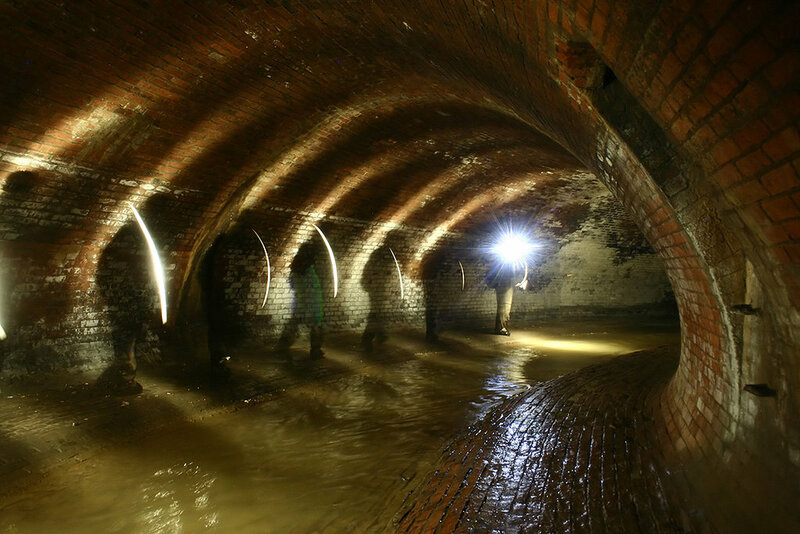 The combination of the two toxic gases hydrogen sulfide and carbon monoxide and the suffocating gas methane is called sewer gas. When inhaled or ingested, hydrogen sulfide converts oxyhemoglobin (hemoglobin rich in oxygen) into methemoglobin, which does not release oxygen to the tissues, thus effectively suffocating the cells of the body. Methemoglobin imparts a dark purple color to the blood, which can be seen at autopsy, where the ME is also likely to fi nd high levels of sulfide in the blood of sewer gas victims. These deaths are almost always accidental and occur when the victim enters an area rich in sewer gas. THRILLERFEST XI EARLY BIRD REGISTRATION IS OPEN! Your ThrillerFest team is already hard at work planning for next July’s conference where we’ll feature 2016 ThrillerMaster Heather Graham and bestselling author C.J. Box. The other spotlights and this year’s Silver Bullet will be announced shortly—like a compelling page-turner, we need to keep you in suspense, so stay tuned for more details. Master CraftFest: Don’t miss this opportunity to study with the Masters of the genre in a one-day intensive workshop to take your writing to the next level. Everyone is welcome, from beginner writers to well-established authors. The instructors this year will be Steve Berry, Grant Blackwood, Gayle, Lynds, David Corbett, Meg Gardiner, Heather Graham, and Andrew Gross. CraftFest: Director D.P. Lyle M.D. is already recruiting talented teachers to broaden your knowledge about the craft of writing as well as experts in fields like forensics and firearms so you can get the facts right in your novel. ThrillerFest: We’re planning some phenomenal panels, always trying to innovate and entertain. Join us for the spotlight interviews, cocktail parties, workshops, and fabulous networking opportunities. Please check the volunteer box during registration, as it’s a great way to make new friends and help out ITW. In the meantime, take advantage of the discounted prices of early bird registration and sign up today. Looking forward to another memorable year! BIO: Jan Burke was born in Texas but has spent most of her life in California. She is the author of fourteen books and over thirty short stories, and served as the associate editor of Mystery Writers of America’s Writing Mysteries. Throughout her career of over 20 years, she has been published by and is grateful for the support of Simon & Schuster. She won the Edgar for Best Novel for Bones, the Agatha for Best Short Story for “The Man in the Civil Suit,” and has received numerous other awards and nominations. She has taught writing for the UCLA Extension’s Writers’ Program, the Book Passage Mystery Writing Conference, and in other venues. She has served as the Guest of Honor for Left Coast Crime, Malice Domestic, and other fan conventions. Her books and stories have been published internationally and have been optioned for film. In 2003, her concern for the problems caused by the severe underfunding of U.S. crime labs led her to found the Crime Lab Project, which, through the efforts of writers, forensic scientists, television producers, and concerned members of the public, has worked to increase awareness of the need to strengthen forensic science in the U.S.. She has been honored by the California Forensic Science Institute, which included her in its Hall of Fame, and continues to serve on the CFSI advisory board. 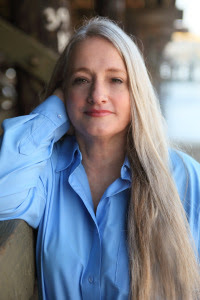 She is a lifetime member of Sisters in Crime, and is also a member of Science Fiction and Fantasy Writers of America, MWA, the Authors Guild, and other organizations. Thanks to John and Shannon Raab I was featured in the International Thriller Writers’ Readers Corner in the latest issue of Suspense Magazine. 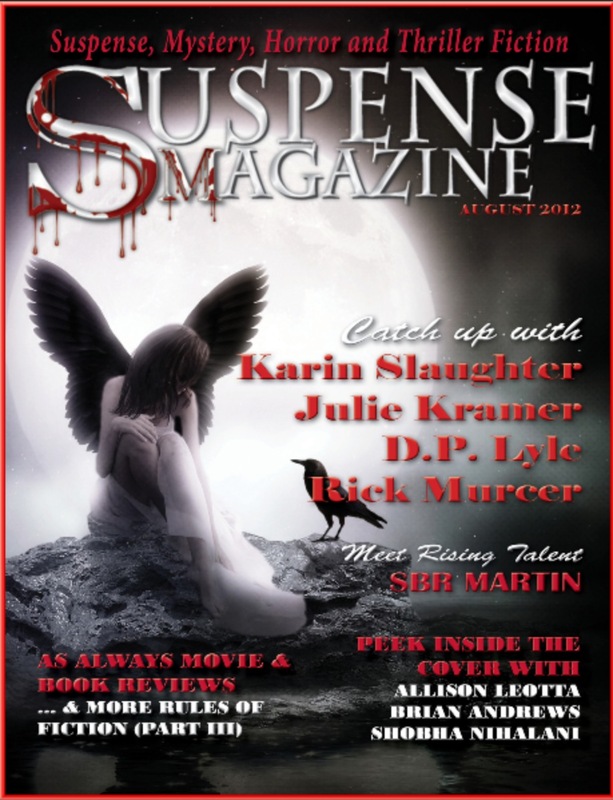 If you don’t already subscribe to Suspense Magazine, you should. It’s an outstanding publication filled with great articles, author profiles and interviews, story excerpts, and wonderful book reviews. And my own monthly column: FORENSIC FILES. It’s been a very busy few months. Conferences and signings and writing. Left Coast Crime in Portland was great and was followed by several library talks with my friend and Crime and Science Radio co-host Jan Burke. Then of course there was all the prep for ThrillerFest, CraftFest, and Master CraftFest at ITW’s annual conference in July. Though always fun, ThrillerFest was particularly so this year. Yet through all that I found time to write and complete my next two books. 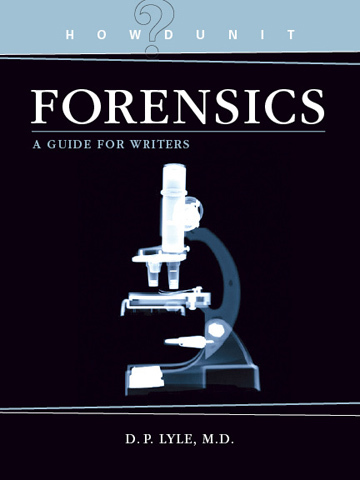 One is an update of FORENSICS FOR DUMMIES. This 2nd edition will be released by Wiley in February. The other was the beginning of a new series—a comedic thriller set on the Gulf Coast. It stars reluctant PI Jake Longly and is titled DEEP SIX. It will be coming from Oceanview Publishing in July. But I still found time to read. Always do. Writers must read. And I found a handful of wonderful books. METHOD 15/33 was agented by my wonderful agent Kimberley Cameron. It’s a quirky and disturbing thriller about a young pregnant girl who is kidnapped for her baby. But best laid plans being what they are, they picked on the wrong girl. Definitely the wrong girl. A pleasant discovery was THE WEIGHT OF BLOOD by Laura McHugh. 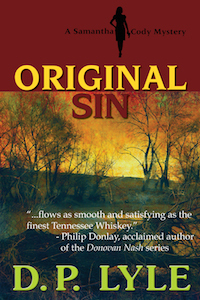 Set in the Ozarks and populated by a cast of deeply flawed characters, it is a wonderfully written book. It won the 2015 Thriller Award for Best First Novel. Erik Larsen’s wonderful DEAD WAKE, tells the story of the sinking of the Lusitania from both the ship’s captain and the U-boat commander’s points of view. An impeccably researched and wonderfully rendered story. Another excellent discovery was Paul Cleave’s TRUST NO ONE, which asks the question—who can you trust if you can’t even trust yourself? And last but definitely not least, I also caught up with my favorite author James Lee Burke’s latest—WAYFARING STRANGER. Brilliant and epic. As his stories always are. And now I’m waiting for two soon to be released books. THE GIRL IN THE SPIDER’S WEB will be the first post Stieg Larsson novel in the Millennium series. Can’t wait to see what Lisbeth Salander is up to. And THE HANGING TREE, the next installment in Jussi Adler-Olsen’s excellent Department Q series. 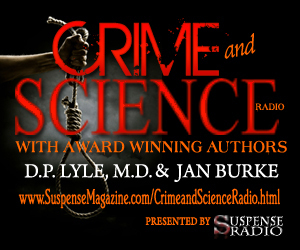 After a couple of months off, Jan Burke and I are back with some very fun shows on Crime and Science Radio. I mean, Hank Phillippe Ryan turns the tables on Jan and me; the FBI visits and discusses synthetic bioterrorism (really? ); Paul Bishop returns with another great discussion on interrogations and lies; we discuss NAMUS with Todd Matthews; and the wonderful Kathy Reichs joins us to chat about all things BONES. It’ll be a fun fall. Join us.